March 2019: Public lands package signed, Methow Headwaters permanently protected! After years of tireless advocacy from local residents, businesses and organizations, the Methow Headwaters are now permanently protected from industrial mining! “Protecting the Methow Headwaters, public wildlands that sustain the farms, communities, outdoor recreation and fish and wildlife in our valley, ensures that our economy and environment will continue to thrive,” said George Wooten, Conservation Northwest’s field staffer based in Twisp. “We should congratulate ourselves for turning the imminent threat of drilling into an opportunity for this community to come together and determine a healthier, wilder future,” said Wooten. With a signature from the President on March 12, 2019, S.47, the John D. Dingell, Jr. Conservation, Management and Recreation Act, officially became law. This historic legislative package approves more than 100 public land, natural resource and water bills, including reauthorizing the Land and Water Conservation Fund and permanently withdrawing 340,079 acres in the Methow Headwaters from new mineral exploration and mine development. Our heartfelt thanks and congratulations go out to the Methow Headwaters Campaign, which coordinated the defense of this incredible place, and to our activists who submitted more than 3,000 comments on this issue through our WILD NW Action Alerts going back to 2014. THANK YOU! Clean, cold and abundant water from the Methow Headwaters is the lifeblood of the Methow Valley. With a long history working in the Methow and staff in Twisp, Conservation Northwest has for years been a local leader in the fight to protect this special place. In late 2018 we submitted organizational comments in support of a mineral rights withdrawal. In November 2017 we joined a dozen other conservation and recreation organizations in a formal comment letter to voice support for a proposed 20-year administrative mineral withdrawal for the 340,079-acre Methow Headwaters region. Collectively our organizations represent nearly 200,000 members in Washington state and the greater Pacific Northwest. We have joined together to show our support for protecting the beloved Methow Valley from industrial-scale mining because of its exceptional beauty, high conservation values, abundant recreational resources, and unique character. Allowing any industrial-scale mining operation in the headwaters region would jeopardize the natural environment and devastate the local economy that depends on protecting the Methow Valley’s rural character and safeguarding its natural resources. You can read the full letter by clicking on the screenshot below. We also shared an action alert with ways for individuals to take action. 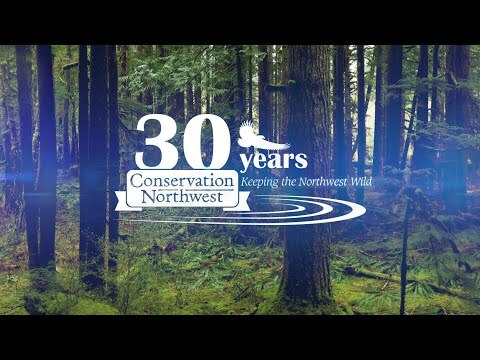 Be sure to sign-up for our WILD NW Action Alerts email list to receive future alerts in your inbox!